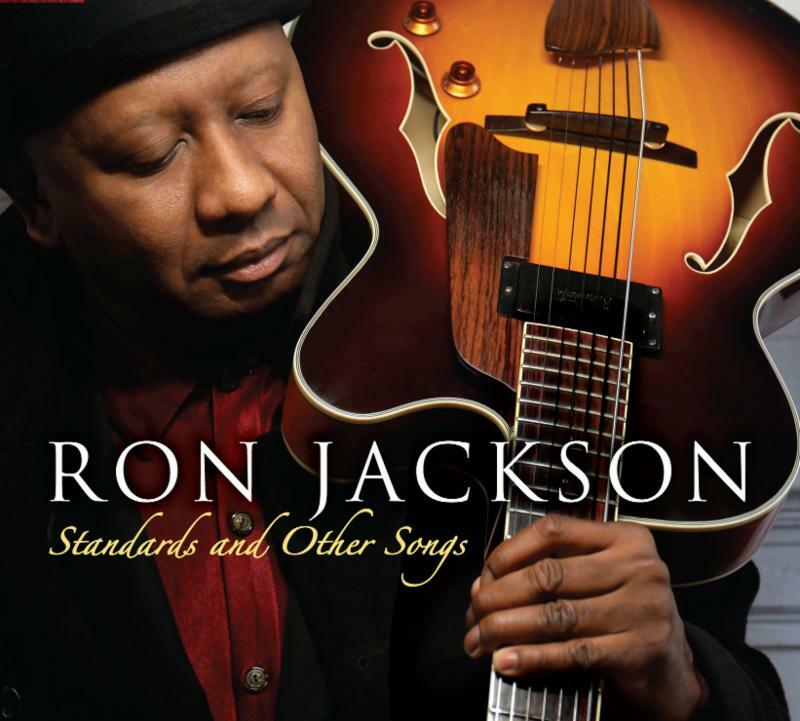 Jazz Guitarist Ron Jackson Releases New Album “Standards and Other Songs” on March 8th, 2019 | WATCH VIDEO! After two decades onstage and eight albums as a leader, jazz guitarist, composer and arranger Ron Jackson is set to explore the next chapter in his career by releasing Standards and Other Songs (March 8 via Roni Music), a wide-ranging collection that seeks to add his inspirational talent and imaginative vision to the emerging tradition of jazz artists who look at pop music in a fresh way, and are shaping a new relevance and legacy for artists like Bill Withers, Van Morrison and Drake in the jazz canon. Jackson’s first trio record in seven years is a bold and eclectic re-imagining of the work of Great American Songbook legends like Cole Porter (“From This Moment On”) and jazz masters like Grant Green, with his version of (“Somewhere in The Night”), to adventurous interpretations of tunes by iconic rock figures as Van Morrison (“Moon Dance”) and a remarkable jazz update of “Passionfruit,” by hip-hop superstar Drake. The album also includes Jackson’s personal adaptations of popular tunes by Bill Withers, Brian McKnight and Freddie Jackson. On a version of “Blame It on My Youth,” a tune made famous by Nat King Cole, Jackson adds another dimension to his music by playing the seven-string guitar, a rare instrument in jazz that Jackson first picked up for a Flushing Town Hall concert in 2011 after studying with Bucky Pizzarelli, a devotee of the instrument. Born in the Philippines but raised in Harvard, Massachusetts, west of Boston, Jackson was initially influenced by rock guitar greats like Jimmy Page before falling under the spell of jazz and following the style and career of jazz guitar luminaries like Pat Metheny and George Benson. After attending Berklee School of Music, studying jazz composition and arranging, he spent some of his formative years in the mid-1980s living and playing guitar with the lively expat jazz community in Paris, France. Jackson moved to New York City afterwards, where he remains an active participant in Gotham’s always vibrant jazz scene. A master of the six, seven and twelve string guitars, he has appeared on over 40 albums by such artists as Hal Singer, Graeme Norris, Ron Blake, Gisele Jackson and T.K. Blue. In 2003, Jackson founded the independent record label Roni Music, which has since released eight of his albums as a leader including the 2014 acoustic guitar record Akustik InventYours, and his 2012 trio album Burning Gums.